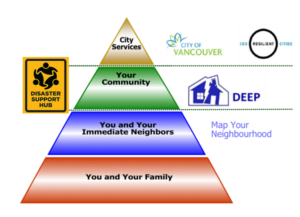 Come join us in exploring how personal and neighbourhood preparedness makes us more resilient. This will be a hands-on workshop. There will be sample family and individual kits and information on how to prepare as a neighbourhood. We’ll show how that fits into our overall capacity to respond and recover from disaster.